McGuire’s family has a history with basketball: Her grandfather Al McGuire played professionally before becoming a Hall of Fame coach and TV analyst; her father and great-uncle both played for the Knicks. While growing up, Brenna tagged along with her older brothers to play sports, and from an early age she knew that she wanted to compete. 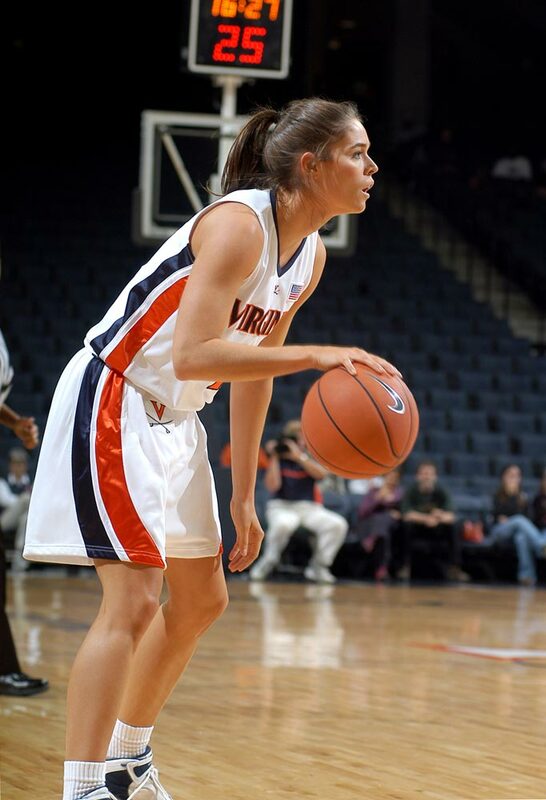 “My parents told me I didn’t have to play basketball if I didn’t love it. But if I did love it, I should give it 100 percent. And that’s what I did,” says McGuire. 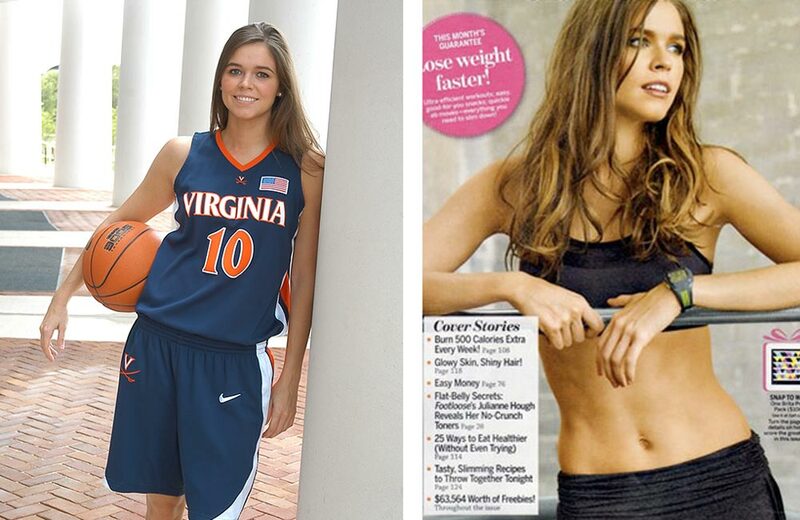 After graduating, McGuire saw modeling as an opportunity to start a new chapter in her life. “I always wanted to play basketball at a great college in a great league, and I fulfilled that dream.” Once she set her mind to becoming a model, McGuire moved to New York and faced the new challenges of city life and an unpredictable schedule. When she became discouraged, she recalled what her father said about basketball: Not every shot will go in, but always keep shooting. “It’s the same with modeling. I’m not going to get every single job I try out for,” McGuire says, “but I know that hearing the word ‘no’ is not personal. I keep going to castings and realize that I will get jobs, that my time will come.” In New York, she was picked up by an agency and has since found success in magazines, appearing on the cover of Brides twice, and in spreads for Fitness as well as Self. 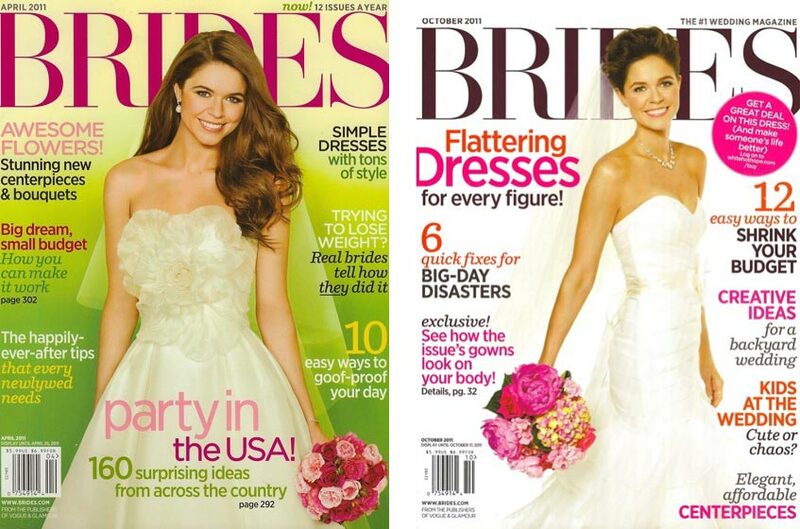 Brenna McGuire on the cover of Brides magazine.